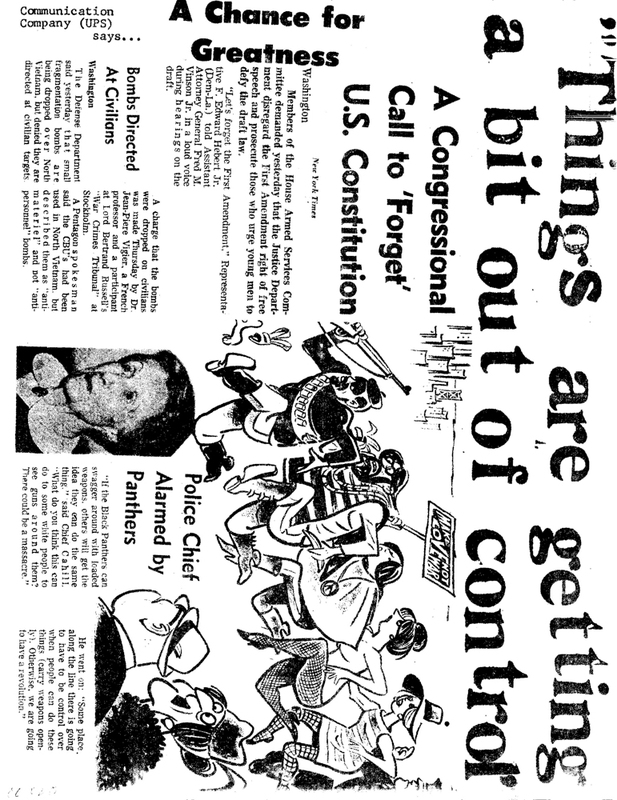 Abstract: Collage of newspaper clippings: A Congressional Call to 'Forget U.S. Constitution, Bombs Directed at Civilians, Police Chief Alarmed by Panthers. Cartoon shows cop chasing demonstrators chasing a Black Panther, with two straights looking on. 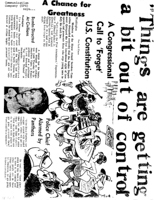 Notes: Title in bold letters, with quotation marks: "Things .. control".